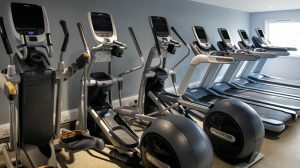 Our fully equipped and air conditioned gym just got better! After our refurbishment in November 2016, we are pleased to offer you a great range of Precor cardio and resistance equipment. Our top of the range equipment includes integrated TV screen and Preva entertainment systems making your workout enjoyable and fun for all. 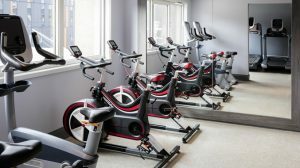 Our atmosphere welcomes everyone, so whether it’s your first time at a gym or you are looking for a new gym to help step up your fitness regime, you can relax and enjoy your workout. Our Glasgow team of fitness instructors will be on hand to give you guidance and assistance as needed, so you can be rest assured you are taking your fitness to the next level. If you have any questions or would like a tour of the gym, call our team now on 0141 352 4935. Or if you like what you have already seen, join online now. 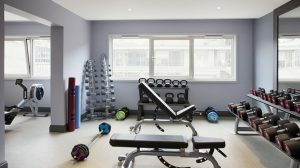 Our membership offers great gym facilities at affordable prices.